The scent of fir and simmering cider filled the home with the sweet aroma of Christmas. The fireplace crackled while, “It’s the Most Wonderful Time of the Year” serenaded in the background. Remnants of wrapping paper strewn all of the floor while children’s’ joyous laughter engaged the hearts of the parents. We read this, sigh, and imagine this year’s Christmas and all the merriment it will bring. So what’s the problem with that Rockwell setting? Unfortunately, this true story and the happiness that was captured for the moment was built on a financial lie! For years, communication centered around financial issues were non existent in the marriage and the assumption came that all was fine. Charges purchased on the family credit card did not have the cash to pay off at the end of the month, yet the wife wasn’t aware of the fact. When January credit card statements came, revelations hit the fan and that Norman Rockwell Christmas tipped the marriage towards divorce. As I’ve interviewed and asked friends about their secret life of money, many claimed that it wasn’t that secrets were kept, as much as they just don’t know what was going on in their finances. Ignorant by choice would be a better term. They have delegated the responsibility to their husbands, and just didn’t have the desire to understand the details, as long as they know there was money in the bank every month. I think that scenario would be the case for many of my readers, rather than down right deception, although a study done in Dec. 2010 found that financial deception is a common problem among couples. The study states, “Three in 10 Americans who have combined their finances with a partner admit to lying to their significant other about their finances, according to an online survey commissioned by the National Endowment for Financial Education and conducted by Harris Interactive. The survey also finds 32 percent of adults say they have been lied to about money by their partners. In the Balancing of Beauty and the Budget, communication and understanding our finances is critical to opening up the doors to financial freedom. That is why I have begun this series with more “thought provoking” issues, rather than jumping into practical ideas, which we all love. Money grips us with many emotions, that’s why if we don’t dig to the basis of why we do what we do, my Top 20 tips to saving money are going to be a band-aid on issues that will continue. For many, money equates worth and is a key way that people feel valued. To admit that one is struggling with finances opens up a vulnerability and fear of failure that we are not ready to deal with at the time. 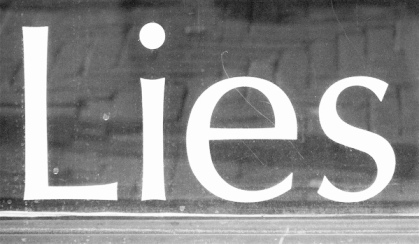 Often it begins with a small white lie of secrecy, like a purchase that goes over budget, but leads to larger issues. That’s why I know the encouragement to “come clean” and resist the tendency to fib in our finances is a core first step. One of the reasons I’m personally open about our financial journey is that we have been on both ends of the spectrum when it comes to finances. We have survived huge setbacks, long periods of unemployment and battled forward to rebuild. Hard emotions that I battled ten years with our finances helped mold who I have become today. I’ve learned from those who have gone before me, and now I hope I can encourage others to do the same. I’ll continue on tomorrow with this topic of the Secret Life of Money sharing a few more staggering stories, as well as some of the ideas I wish I would have implemented before we ever had even one day of unemployment. This is a sensitive topic, and addressing any touchy topic always has so many view points. Remember, this blog is just my opinion. I can’t begin to brainstorm the number of reasons there may be secrecy in a marriage, so please know that I understand there may be that 1% exception to the rule. Many of you have stories and experiences to share that my readers can learn from on this topic. Others may be in the middle of this heartbreaking situation. I know we’d love to hear your story. Please feel free to use an anonymous name when writing your comment. Please know that I may use portions of your story in my future post. If reading this by email or reader, please click over to read the comments. Personally, we have always been up front with each other. We combined finances before we were married and have joint accounts. The hubby is the one to actually pay the bills but I have access to all of the accounts and do check in on our checking account a couple of times per month. We also both had debt going into our marriage and have been working on paying it off. Though we’ve made progress we still have debt but have really changed our spending habits over the years. When it comes to big purchases we make the decision together. Generally, if the cost is $100 or more we check in with each other. That’s what works for us but I do know others who hide bills and lie about spending and then other couples who have one joint account and everything else is separate. Sometimes you just have to go with what works for you but I don’t feel like lying and hiding things will benefit anyone in the long run. I’ve always felt that if you can’t be honest about something then you know what you are doing is wrong. Although it’s painful to admit, I’ve been guilty of this. Not a pretty side my life, nor something I’m proud of but it’s happened. Looking forward to reading more and following your helpful tips during the next month. Thanks for tackling this topic. I to am dealing with this..I deal with depression which turns into shopping, then hiding, then more depression cause now we dont have money for the items we need. Its very frustrating considering all we have put ourselves through over the past 2 years of job loss, unemployment, etc. Finally got a chance to check out your 31 day series. WOW what a great post. OH good golly I have definitely with held information regarding spending with my husband, not proud of it, but it seemed easier at the time. Thanks for your honesty.